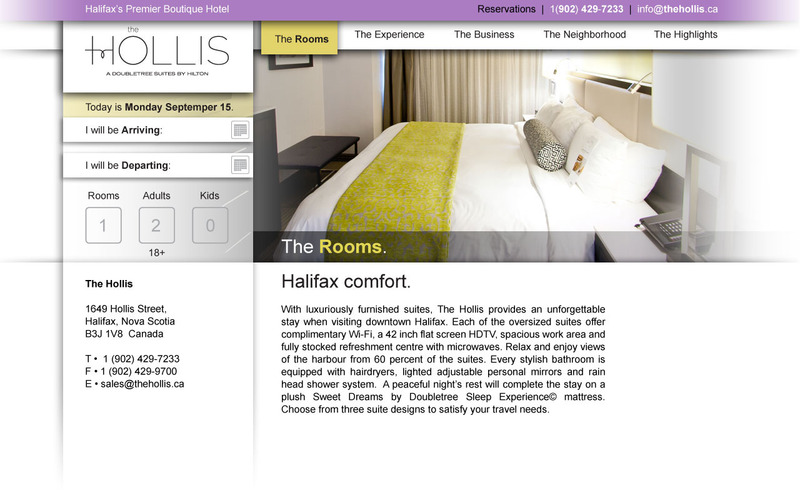 This is a website proposal for a boutique hotel in Halifax. 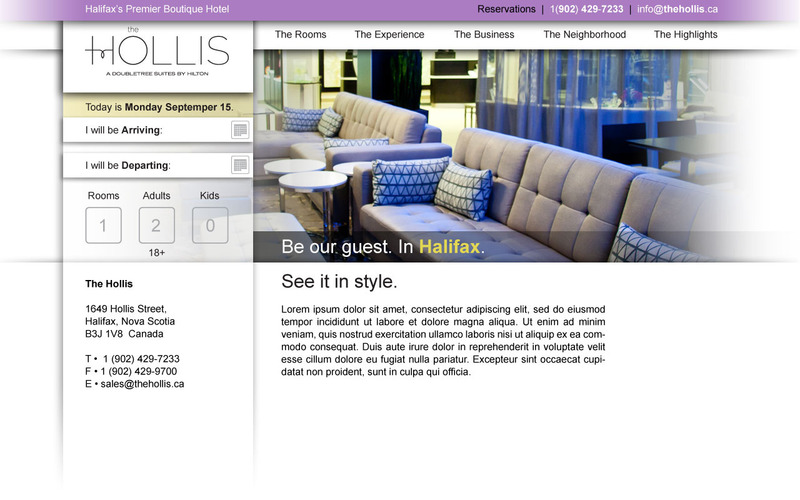 I had a potential client approach me to design a website for a hotel chain. He presented an estimate alone without showing them this. As a result they measured the job against a cheaper estimate and lost. This creative never saw the light of day. So, I thought I would light a candle for it here.